Updated on July 30, 2018: more drugs have been added to the recall, see below for the full list. Health Canada has issued a recall for medications containing the ingredient valsartan. 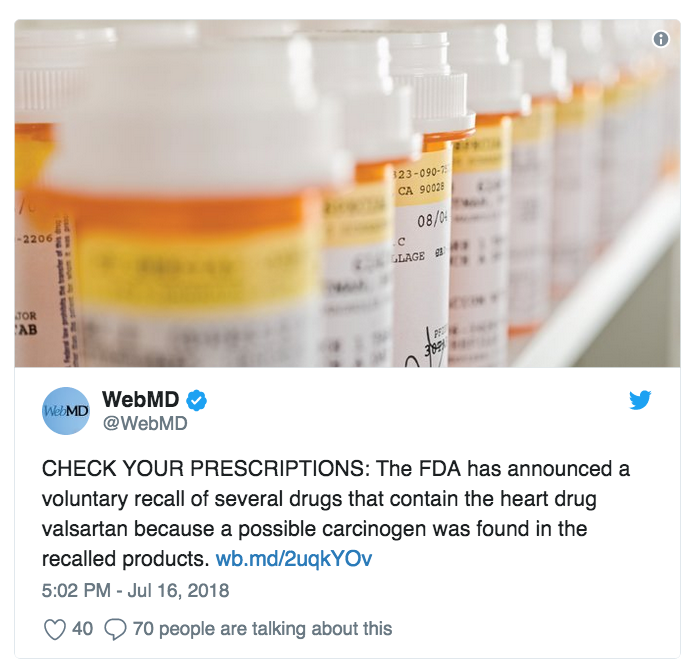 However, on Friday, July 27, the FDA revealed that consumers may have been taking the contaminated drug for as long as 4 years.